According to Wedding Paper Divas, 40 percent of couples spend 10-15 hours per week planning their wedding. This includes finding the perfect location, the right dress and suit, the right food and all the other minor details that make the wedding day perfect. But after the dust settles, many newlyweds struggle with finances and planning for their future. Here are five things you should know to be a financially fit couple. Many arguments about finances could be avoided simply by talking about your short and long term financial goals. There’s no reason to worry if your partner has different financial priorities than your own, instead adapt and compromise. Early in your marriage — or even before your big day– talk about your financial goals and your spending habits. This includes creating a monthly budget, planning for retirement and coming up with an emergency savings account. Decide early whether you are going to have joint accounts or separate accounts, or perhaps even a combination of both. There are benefits no matter what you choose to do, so discussing it with your significant other is important. If you have different spending habits than your partner, consider having separate accounts, which may help prevent arguments over spending. Separate accounts also makes it easier to pay your own debts and purchase birthday or Christmas presents without your spouse knowing. There’s no need to tell your partner about every purchase you make, but determining how much is too much to spend without first consulting your partner is an important step in marriage. Say you want to spend $1,000 on a new television, depending what your monthly income and budget are, this might make a good item to discuss with your significant other before making a purchase. Before you get married, discuss your credit score with your partner. If your spouse has a poor score, understand that in the long-term this could cost you both a lot of money or might even make it difficult for you to finance a loan, such as a mortgage. Develop a plan to improve both of your credit scores such as obtaining a joint credit card, making small purchases on the credit card and paying it off each month. You should also take care of any outstanding debt. Having good credit is a great way to avoid costly high-interest loans, which will enable you to put that money towards retirement, vacations and your first home. If something were to happen and you didn’t have a will, this could wreck havoc on your spouse’s financial situation. When you die without a will, it is called intestate, meaning your assets will be divided up according to your state’s law. Even if you already have a will, you need to make sure to update it to include your spouse and to look at it every few years to ensure that it still covers what you need it to cover. Items that should be in your will, include assets, property and guardianships. Discussing finances with your partner is not the easiest thing in the world. As with other marriage issues it’s important to discuss it with an open mind. Sit down with your spouse and use the tips above to ensure a financially happy relationship. Have any financial tips for newlyweds? Post them in the comments below.  Communication Federal Credit Union is an Equal Housing Lender. We do business in accordance with the Federal Fair Housing Law and the Equal Credit Opportunity Act. Information and materials contained in this website, along with the rates, terms, conditions and descriptions that appear, are subject to change without notice. Copyright in the pages and in the screens displaying the pages, and in the information and materials therein and in their arrangement, is owned by CFCU, unless otherwise indicated. No one has permission to copy or republish any information found on this website and any pages thereof, unless otherwise indicated. CFCU is not responsible nor liable for information or material on pages linked to this site.